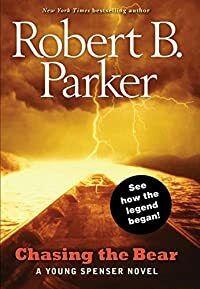 Chasing the Bear by Robert B. Parker: Synopsis and Online Purchase Options. Synopsis (from the publisher): Spenser's father and two uncles, all three boxers and carpenters, raised him to be tough. However, his father also taught him something even more important: Sometimes the toughest thing a guy can do is walk away from a fight. Between learning to spar from his father and uncles, Spenser forms a friendship with Jeannie. Jeannie's relationship with her abusive father challenges this paramount lesson of knowing when to walk away from a fight. When she gets into trouble, Spenser knows he has a difficult decision to make. Should he trust his gut and risk his own life to save hers?